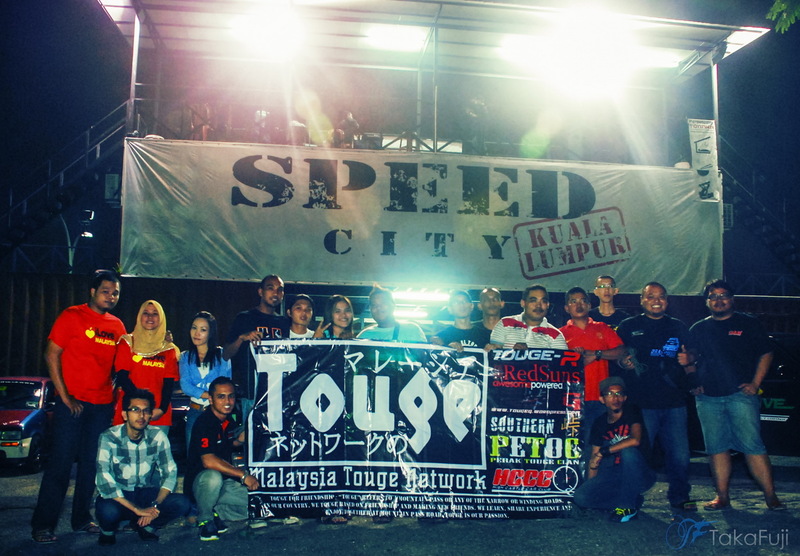 Last Saturday Night, September 8′ 2012, Malaysia Touge Network group went to Saturday Night Drift Assault , Speed City Kuala Lumpur to be Car Parade. The image above is only little crew of MTN, there still a lot out there who’s not able to come since the limitation of 12 cars from Speed City organizer. My energy was too low due had a lot of activity since friday night to Saturday evening. So my eyes a bit blur, and it may affect the photos and video quality when it shoot and record. Please wait, even the video and image still not transfer to PC yet. A Great thanks to Apek for organize this at first stage. Thanks a lot to SNDA Speed City organizer and crews allow us to be part of Car Parade. Thanks You Very Much.